SUPERQUINN SUPERMARKETS ARE to be rebranded as SuperValu from February next year in a merging of two of the biggest players in the Irish retail market. The change was announced today by Musgrave, which owns both supermarkets. A total of 102 jobs will be lost at Superquinn’s administrative office in Lucan because of the move. The SuperValu own brand range will be sold in Superquinn once the move takes place, while Superquinn said that products the supermarket is famous for – including its much-loved sausages – will remain on sale. The head of Musgrave said that combining the two stores under one name would create an “unrivalled Irish retail brand”. Martin said the company will try to find jobs for the 102 people whose jobs are being lost. Some Superquinn employees have said that they only heard about the change on social media this morning. Superquinn has used its Facebook page to defend itself, saying that the 102 members of staff who are to lose their jobs were told this morning and that other jobs will not be affected. 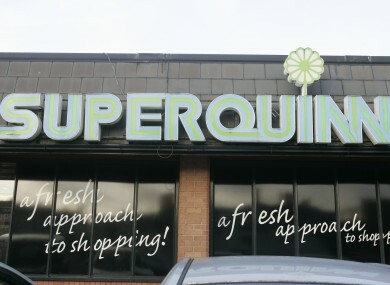 Musgrave said Superquinn will invest €10 million refurbishing Superquinn stores. Email “102 jobs lost as Superquinn stores to be renamed SuperValu ”. Feedback on “102 jobs lost as Superquinn stores to be renamed SuperValu ”.